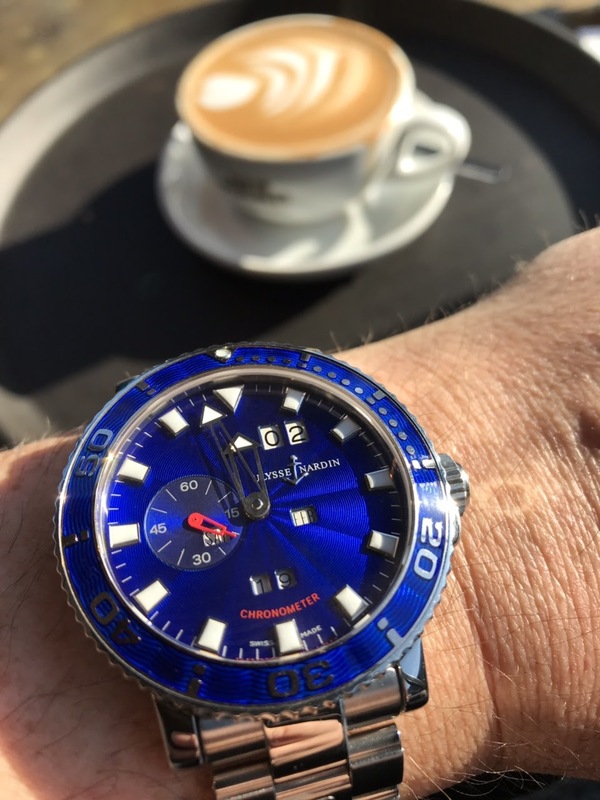 Ulysse Nardin - Feeling blue! Cafe Nero ?.. great watch ! Apologies - Not my intention. 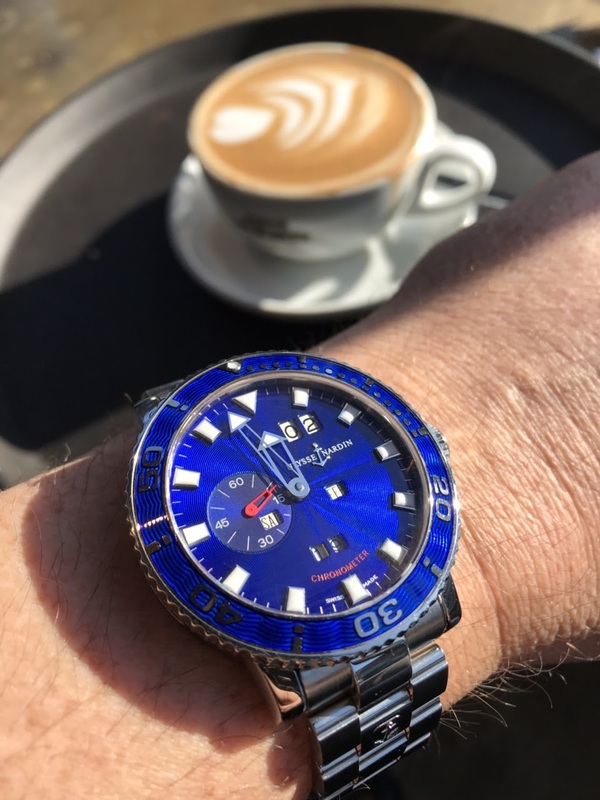 Piece was being worn for the day and photos were wrist shots taken in a coffee shop of the amazing blue dial glowing in the sun. I will refrain from further postings of the piece.